A FEW CENTER CUTS AVAILABLE. THIS PRICE INCLUDES SHIPPING. This fast-growing columnar cactus is widely collected as an ornamental and landscaping cactus. 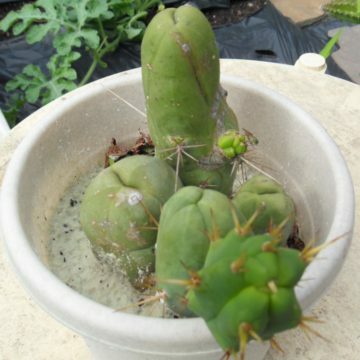 It is also a choice grafting stock for speeding up the growth of slower-growing cacti such as astrophytum and ariocarpus. We have a select few 12” center cuttings. They are well-calloused on the end. his is a great price. We have gotten more money for smaller cutting at auction. 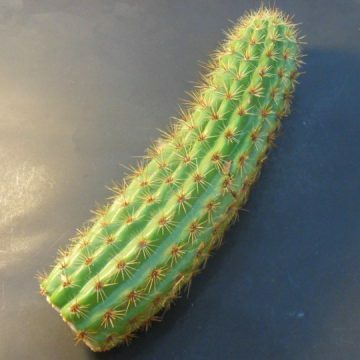 Trichocereus bridgesii, also classified as Echinopsis lageniformis, is a bluish-green columnar cactus native to Boliva, which is also where these seeds are from. 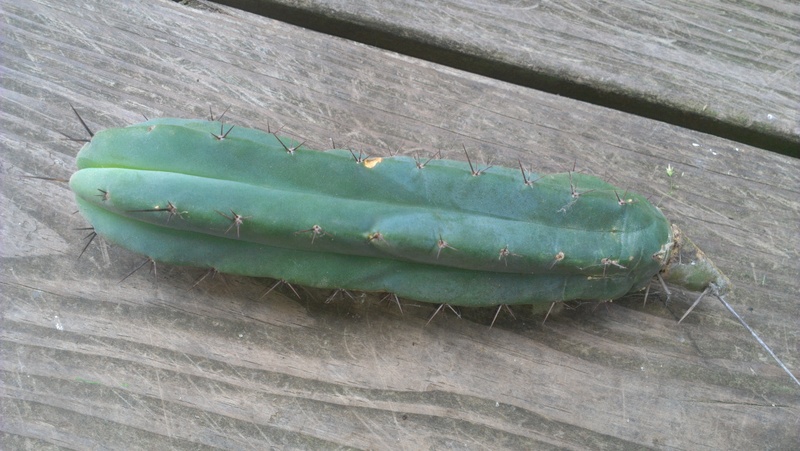 It resembles the more common San Pedro cactus (T. pachanoi) but typically has fewer, wider ribs and longer spines. 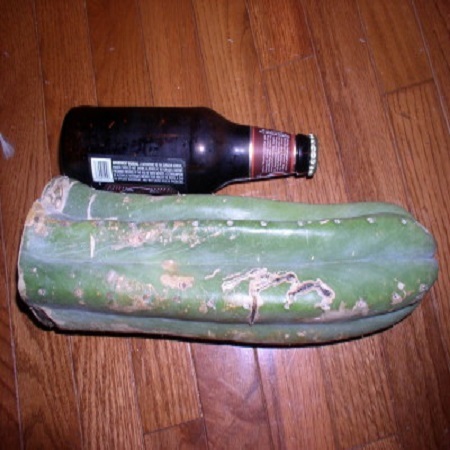 In fact, many references to San Pedro in Bolivia are believed to actually be referring to bridgesii rather than pachanoi. 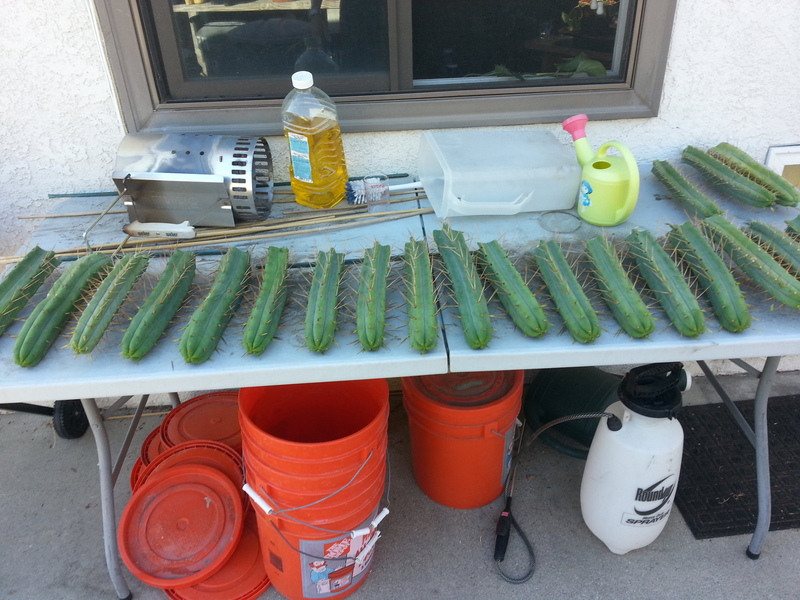 This cactus has gained much popularity among cactus collectors in recent years. 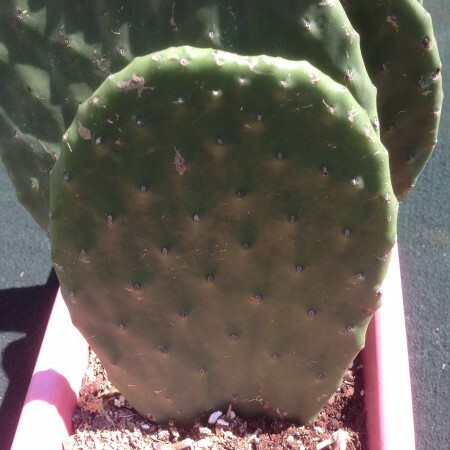 Like pachanoi, it has huge, white blooms that make it an attractive andscaping cactus. It grows a little bit slower than pachanoi but is still a rapid grower, making it one of several trichocereus species that work well as a grafting stock for slower-growing cacti such as astrophytum and ariocarpus. It can reach fifteen feet in height and tends to produce offsets rather easily. 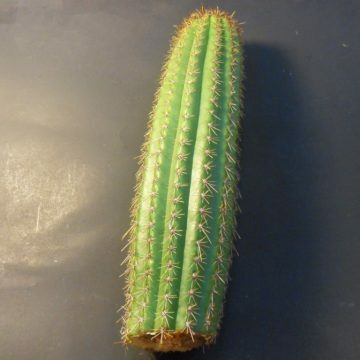 T. bridgesii is also easy to grow from seed, but its seedlings are more prone to turning purple than many other trichocereus species when exposed to sunlight. When this occurs, be sure to reduce their exposure. It is hardy to about 30 degrees Fahrenheit and should only be watered during active growth when the soil has dried out. During the winter in areas where temperatures are too cold, plants should be brought inside where they will go dormant (stop growing). Prior to entering dormancy (late September-early October), watering should be slowly reduced until it reaches none. Plants should be brought indoors and stored in a cool, dry, dark place. Since it is not growiing, it does not require any of these essentials. When breaking dormancy, a reverse process can be applied. 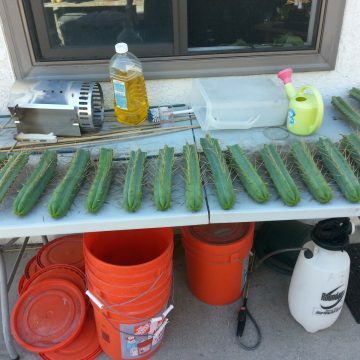 This will ensure nice, even growth to your cacti and reduce the chance of infection due to overwatering when the cactus’s immune system is at rest.